A new look for our updates to accompany a new look for encaustic art products. Thanks for having subscribed at some time to our updates. We have changed the mailing system but you subscription is always manageable in the footer of the update emails or here: Manage subscription. 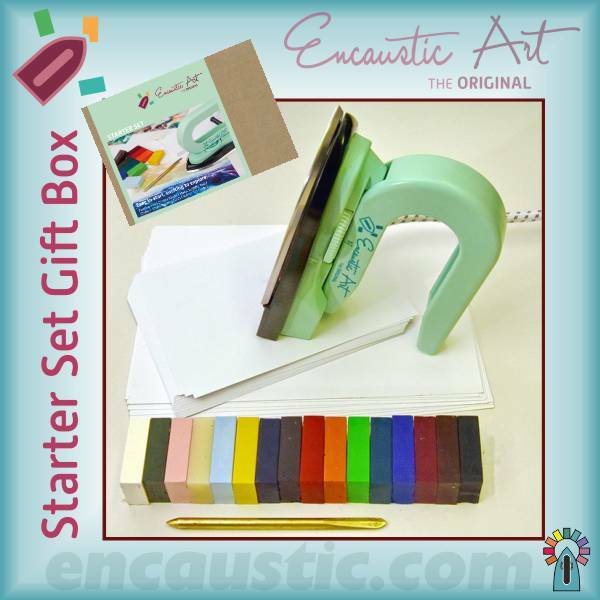 A lot is happening to the Encaustic Art product line in 2018 as we introduce a smart refreshed logo & packaging array. The softer green colour and playful arty text uphold the experience of the many tens of thousands of users who enjoy the activity - it is fun, playful, creative and achievable. But, of course, like all skills and capabilities, practise makes the master! This is the original logo that worked so well for more than 25 years. This is the new logo that describes the wax melting activity so very well. 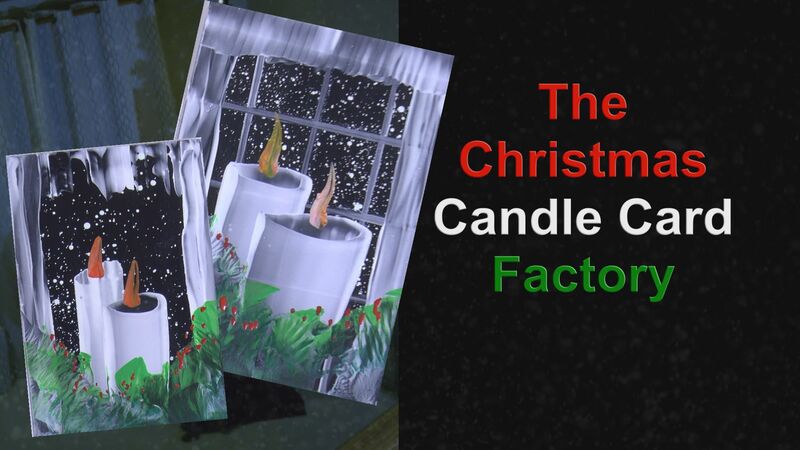 Here is the latest offering of video from Michael Bossom who is busy making a whole load of similar Christmas cards with a candle motif! It comes around every year and all too often making cards is a rush. 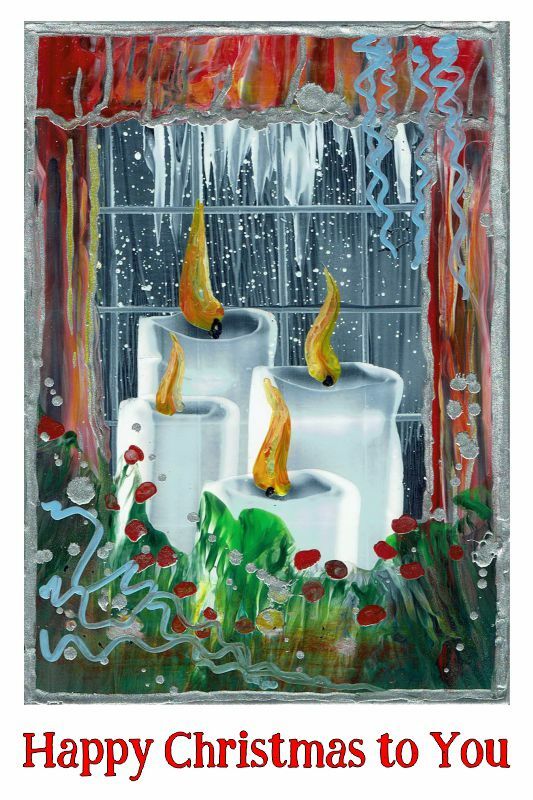 This little video is an insight into making batches of cards - Candles in this case, but with snowy backgrounds, or are they starlit skies? And we look out through the window into that space, past the flickering candle light. We are just about to run out of the old packaged Get Started sets. These included the brilliant Art Set that has been the backbone of our range ever since the beginning in 1991/92. It's sad to see it go but also great to see the replacement Starter Set which is a beautifully packaged box with iron, waxes, cards, a scriber and some information in 5 languages (English, German, Dutch, French and Spanish). There are still a few of those lovely Artset packs available, but they are going to be gone very very soon. Finally, in this brief update, thank you so much for your past interest, your custom and your enthusiasm for the Encaustic Arts. Here is our Christmas card which is a small evolution of the ones shown in the little youtube film above - Merry Christmas. ... and a very Happy and Creative New Year too. Let's make 2018 a year to remember!